I’ve been in a bit of a reading rut as of late. I’m not sure if it’s the come down from Inherent Vice, or having read only serious books lately but I’ve been stalling on starting a new book. I’m pretty used to taking some time from adult literature to read a good YA about vampires or werewolves… but I’ve been trying to cut down. So instead, I’ve mostly just been sitting around watching Heroes and Nashville on Netflix. Don’t judge, I just love Hayden. So! I whipped up a batch of these little gems. They are super healthy and packed with goodness. 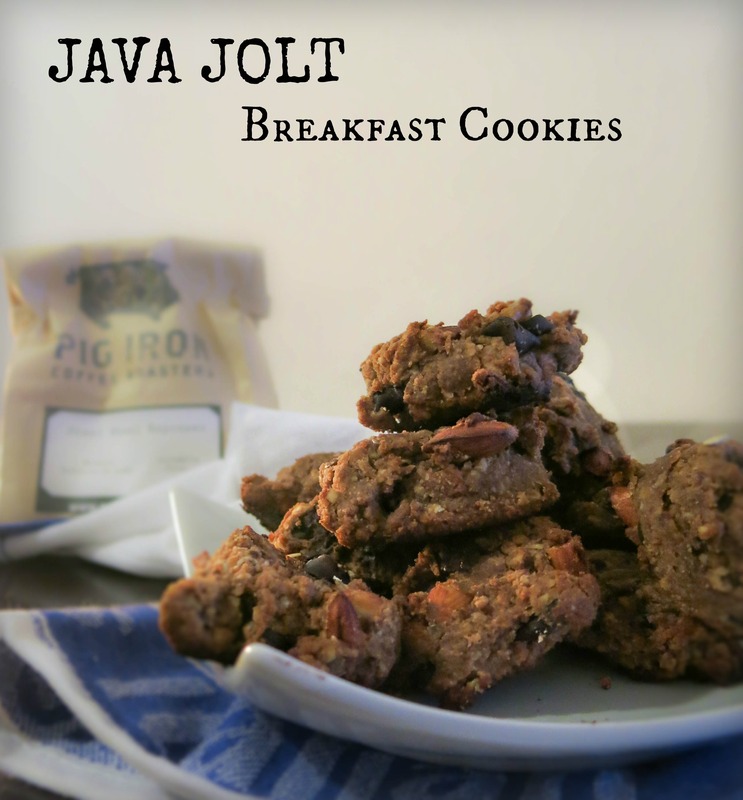 These are a perfect breakfast cookie because they’re sweet enough to feel like a treat in the morning but filled with enough fiber and protein to get you through a tough morning meeting. 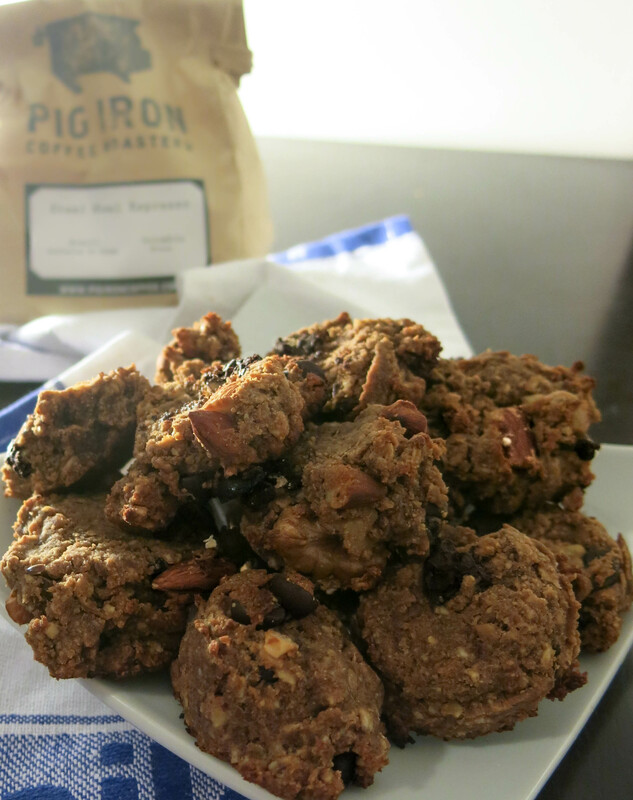 PLUS they pack an extra mighty punch with a secret ingredient- COFFEE. Yippee! In a small cup or bowl add the flax and water together. Stir vigorously and let sit for about 5 minutes. In your stand mixer or with your hand mixer beat the banana, coconut oil, peanut butter, maple syrup and cocoa powder until it is smooth and creamy. Add the coffee and the flax mixture, blend again until smooth. In another mixing bowl combine the oats, flour and salt. Stir to combine. Gradually add this dry mixture to the wet mixture, blending steadily as you go. The batter should be quite thick and will pull away from the sides. 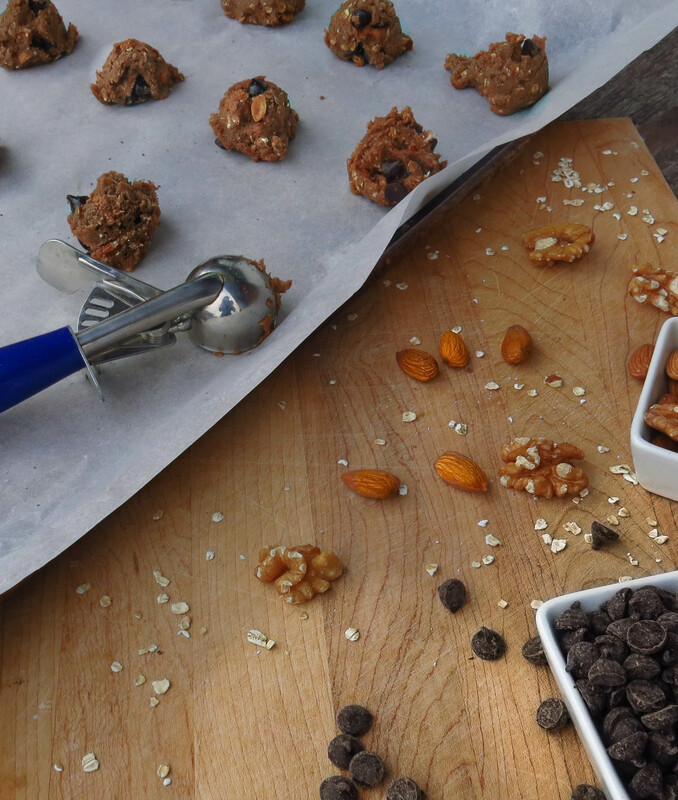 Fold in the chocolate chips and nuts. Scoop even spoonfuls of the mixture onto a lined or greased cookie sheet. Bake in the oven for 20 minutes, rotating the tray once throughout. This dough is gluten free, vegan and can be eaten raw. In fact it would be super delicious added to coconut icecream or dipped in chocolate to make cookie dough treats! Now that sounds like a good way to start your morning! I just finished reading Inherent Vice by Thomas Pynchon. It was hard. Not in a conventional over exert your brain because the words are so big and pretentious type hard, but in a “I have no idea what’s happening” way. This book is a psychedelic ride through a drug-addled detective’s gig to find his ex-girlfriend and her lover, while uncovering multiple layers of shady business and shady characters. In Vice’s defense, my challenges getting through this book may have been perpetually increased by the fact that winter is upon us here in Toronto. Some of my anger was unduly projected onto the characters, who spend their time following clues amongst surfers and girls in bikinis in downtown LA. While I found this book very difficult to follow, I suppose that is sort of its beauty. The entire book is like one long paranoid drug trip. Like a never ending ‘shroom induced word vomit. Imagine Raymond Chandler and Kurt Vonnegut had a baby, who they raised only on Peyote and Jefferson Airplane. That is inherent vice. The protagonist of this novel, Doc, a well-known PI spends the majority of his time smoking dope and having “hiippiephanies”. 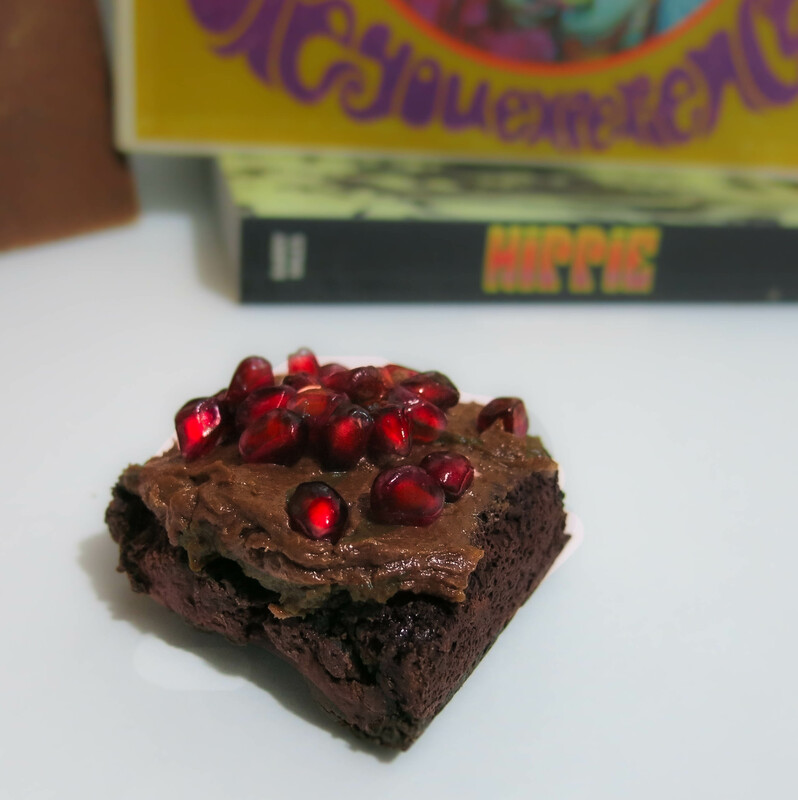 So in his honor I’m making black bean brownies … man. With an extra ingredient. BEETS – to add a little psychedelic flare. These brownies are super gooey, but super healthy. Vegan, gluten-free and sugar-free. 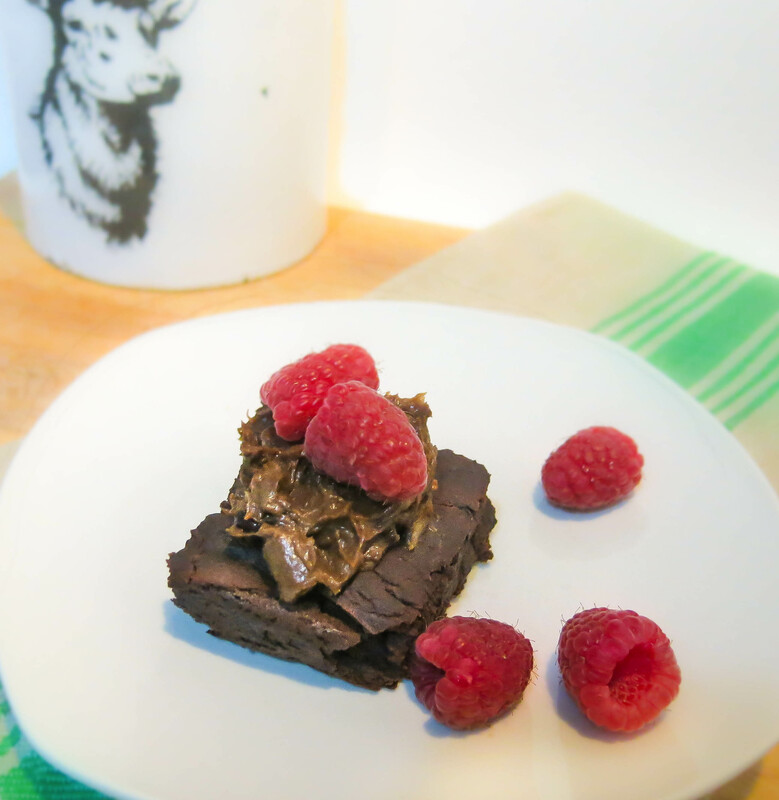 But despite their very healthy ingredients these brownies are deliciously satisfying. Satisfying enough to cure any case of the munchies. 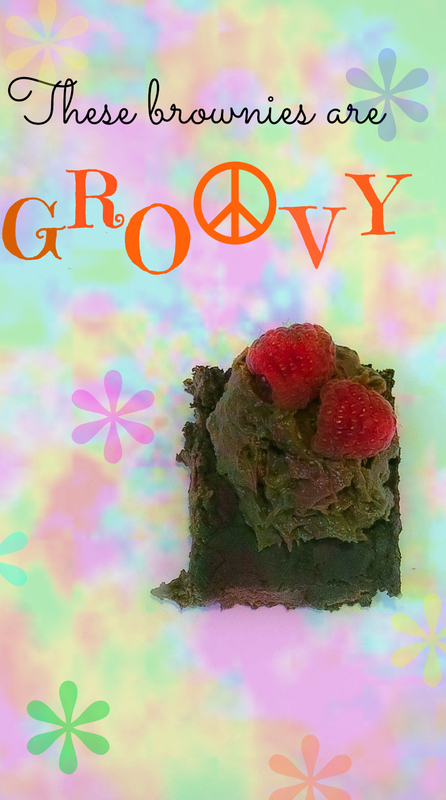 Step 1 – Head over to Songza, start this serious psychedelic mix, prepare for deliciousness to ensue. To make the chia or flax egg, mix 1tbsp ground flax or ground chia with 3 tbsp warm water. Mix well and let sit for 5 minutes. 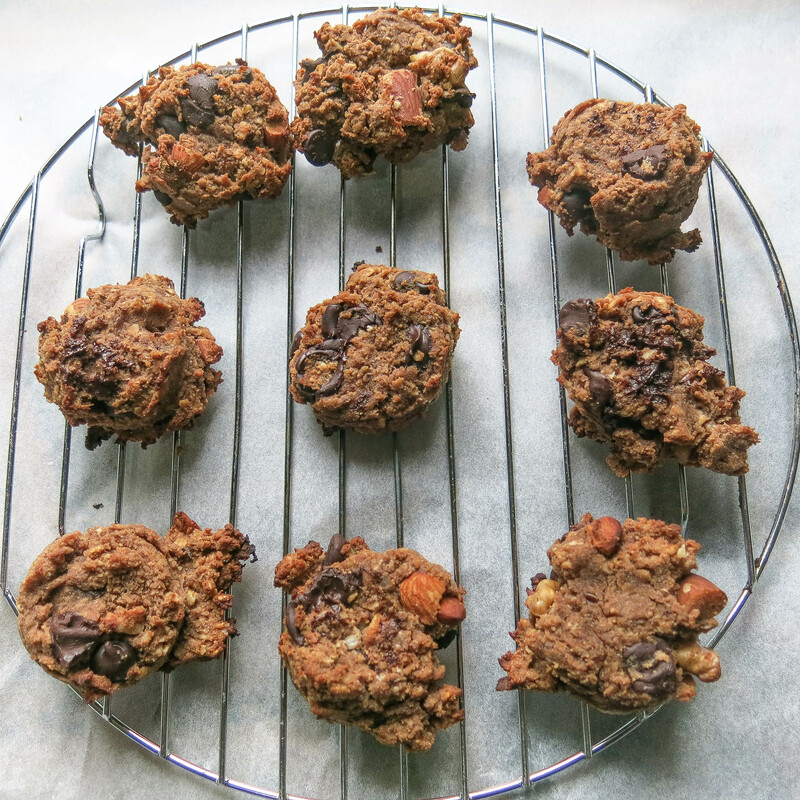 In a blender or food processor mix all ingredients except chocolate chips. Blend thoroughly (about 3 minutes on high). Stir in chopped dark chocolate. Line a 9”x9” baking sheet with parchment paper or coat with coconut oil. Pour the mixture into the pan and make sure it is spread evenly. Bake for 50 minutes, rotating the pan once throughout cooking. Remove brownies and let cool – then place then in an airtight container and let them chill in the fridge for 1 hour to help firm them up. 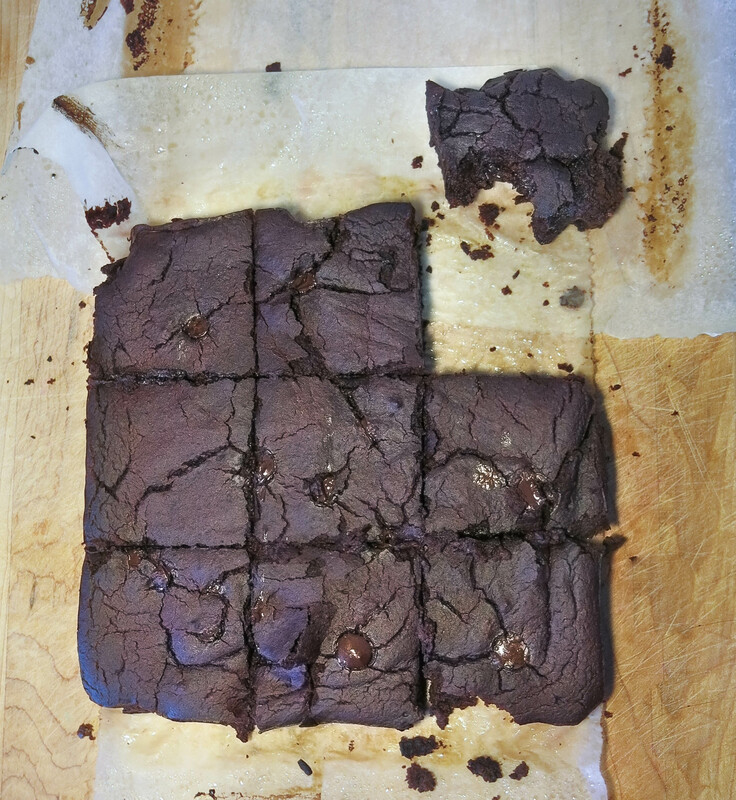 These brownies are super gooey so they will not look cooked all the way through (the middle might still jiggle) but they will harden up in the fridge. 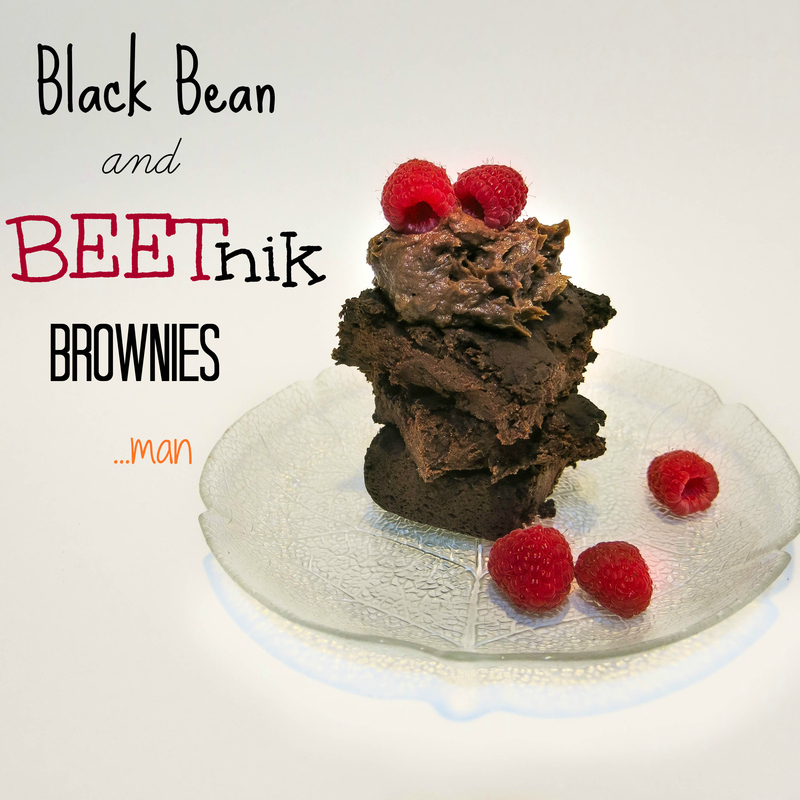 Top brownies with your favorite ingredients – pears, raspberries, coconut. Groovy Man. Alas, it’s hard to believe the first week of November is through. Oh November. I feel like I could write a lot of bad sonnets about you, I love you but I hate you. On one hand you’re where true sweater weather begins. Cute fall boots with mittens, plaid scarves and getting cozy in wool socks with a cup of soup. On the other hand, you bring this impending doom of true snowfalls. Plus you don’t have a single long weekend AND the anxiety of Christmas being just around the corner is a constant nag on my subconscious. To top off your con list, this year you are off to a particularly bad start, seeing as I lost my metropass on only your 4th day. November, you might be the worst. One thing is for sure; November is a holiday hump, sandwiched between Halloween and Christmas. Meaning it’s a perfect time for a health break. The temptations of October’s fun size chocolates have left me in a particularly long candy hangover and I’m feeling ready to start eating clean again before that same temptation starts up again in December. The hard part is that deep in my soul I have the sweetest of sweet tooths. BUT this recipe will satisfy anyone’s sugary cravings without all the bad stuff that sugar brings. Plus it’s the most comforting of treats on a cold day – perfect for a miserable November afternoon. Honestly, what’s more calming than a steaming cup of earl grey tea with a splash of (almond) milk and a drop of honey. Well! An Earl Grey tea loaf! Especially one with lemon and blueberries. This loaf is just perfect. It tastes great and it’s super healthy. It’s inspired by the delicious nut and seed bread over at nutrition stripped, which is a staple in our home. That’s why I was so excited by how versatile her recipe is – it was super easy to adapt to this sweet treat. 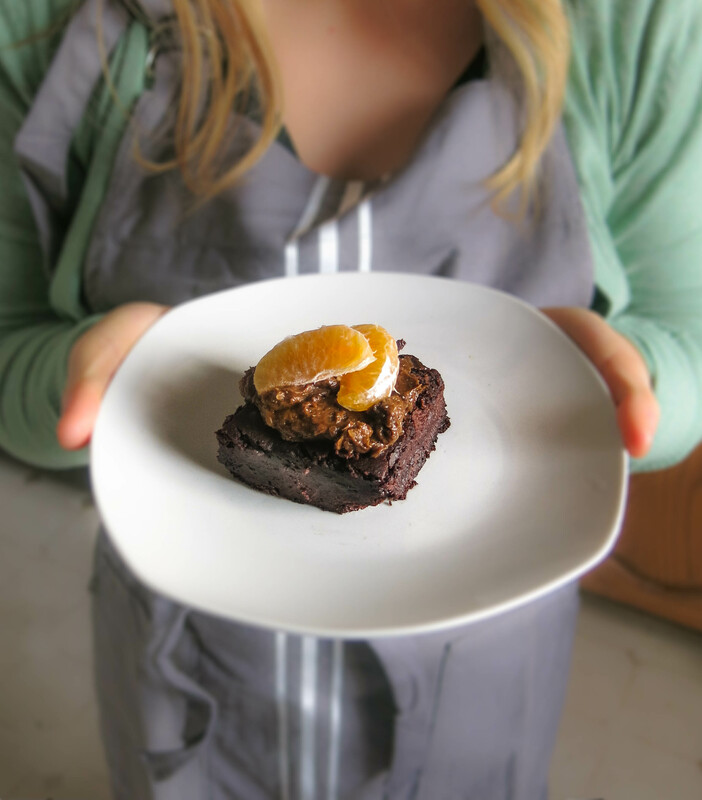 Gluten-free, vegan and refined sugar free. So you can feel good about having a piece for breakfast (maybe even 2). 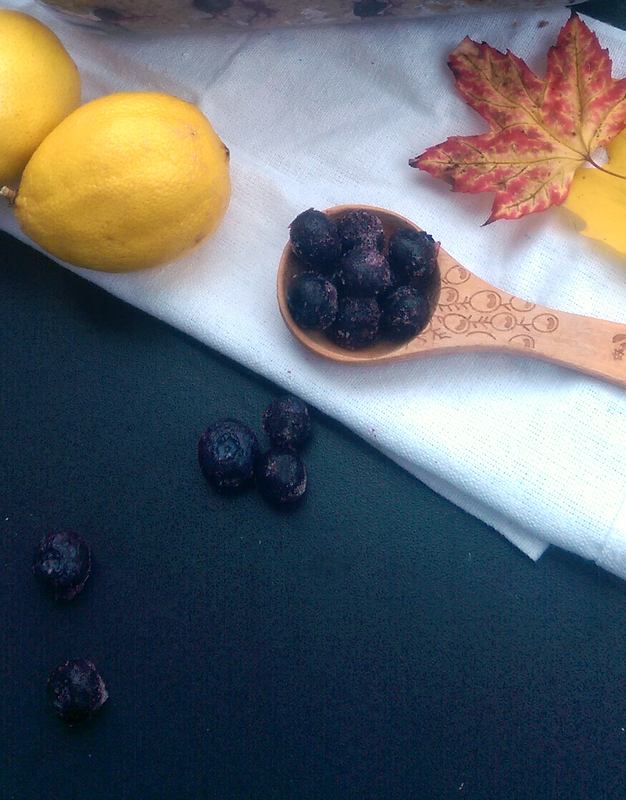 I made this lemon and blueberry loaf in honor of the protagonist of Donna Tartt’s newest novel, the Goldfinch. I’ve been a big fan of Mrs. Tartt’s since I read the Secret History in university, on the recommendation of my dear friend Rachel, who’s literary tastes I trust. 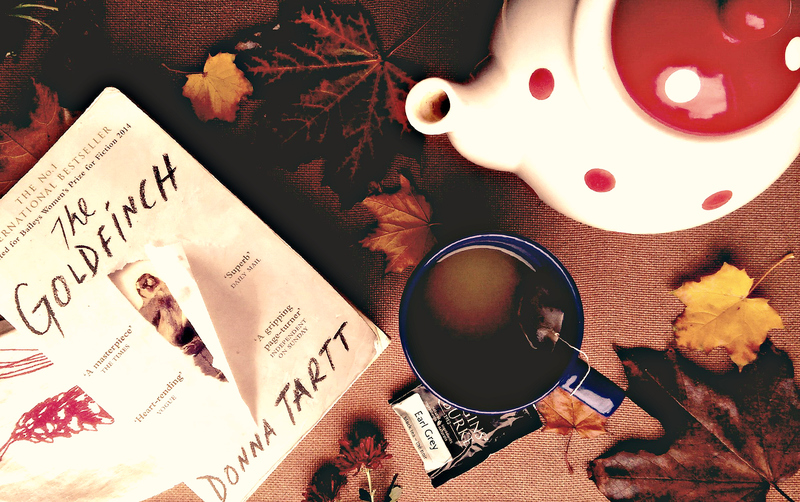 Much like the Secret History, the Goldfinch is filled with beautiful (and usually quite lengthy) prose that Tartt stylizes in a way to constantly pull on your heartstrings. "Boris shrugged. "Who cares? If he is good to you? None of us ever find enough kindness in the world, do we?"" The Goldfinch has a unique premise – Theo Decker, a young boy growing up in New York City, has his whole life turned upside down when he and his mother are affected by a terrorist attack while visiting the Metropolitan Museum of Art. Theo survives, though his mother does not and in the panic of the event, Theo makes off with his mother’s favorite painting- the Goldfinch. This is a story of a boy, struggling to find himself after he’s lost the most important person in his life. It is a story about human nature, and how we feel connected to people and their memories. It is about how a boy is able to remember everything he loved about his mother, by cherishing another valuable object, one that he keeps with guilt and fear. This is a story, where although the premise is so outlandish, it’s impossible to not empathize with Decker as he makes his way through this crazy world meeting people who make lasting impressions on his young heart. A deadbeat dad, a streetwise drug-pushing best friend, his sophisticated and melancholic foster mom. The care Tartt takes to describe each seemingly meaningless setting or character is what sets her apart as an author. The Goldfinch is over 800 pages; but 800 pages of beautifully crafted character development. You have to love Theo Decker, even though he is a villain in his own regard. 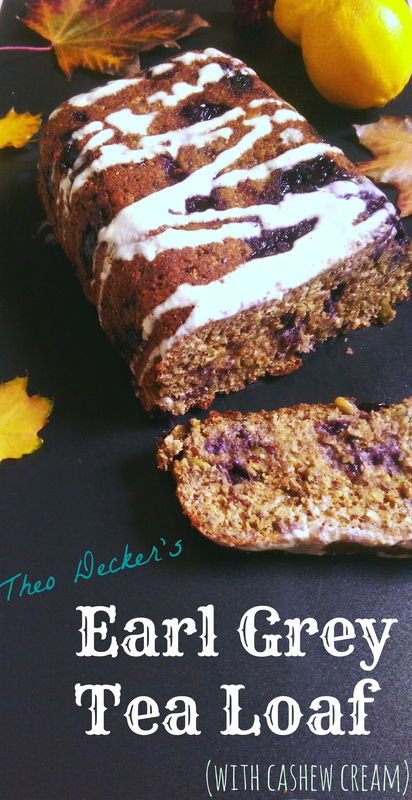 This fall treat is for Theo. Because I remember him and his best friend Boris eating stale wonderbread slices sprinkled with sugar, between bumps of stolen coke or huffs of glue from a paper bag. How quickly his life was changed, and it’s hard not to wonder how different things would have been had his mother survived. This recipe is what I envision Theo’s mom making him. A treat they would come home to after a Sunday stroll through Central Park or a foreign film in SOHO. A nice slice of Earl Grey loaf, with a cup of tea to warm their fingers and souls, on a miserable November day. 3 tbsp of your favorite liquid sweetener – I used maple syrup but honey or agave would be great. 1 – Place the milk, water, banana, sweetener, coconut oil, vanilla and tea in a medium sized sauce pan. Heat over medium heat for approximately 5 minutes (until the liquid begins to froth and your home begins to smell like a delicious cup of earl grey tea). Turn the heat off and set aside to cool. 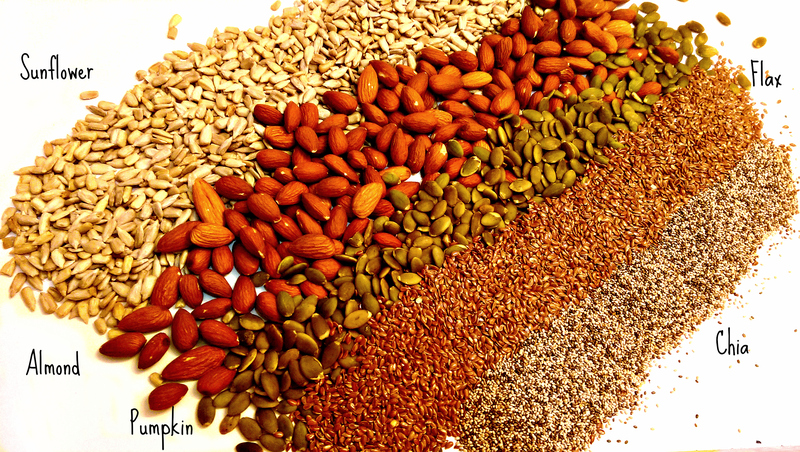 2 – Measure out the sunflower seeds, almonds, chia and flax – add to your food processor or dry container of your blender. 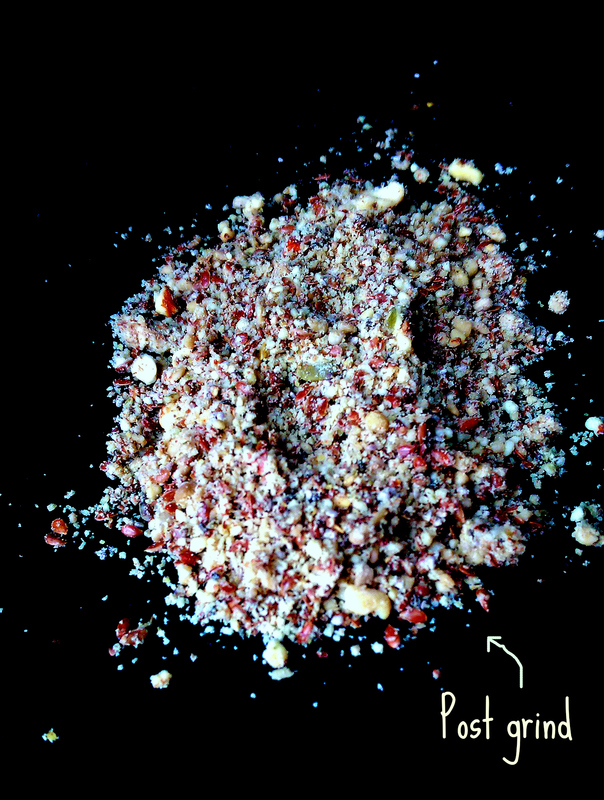 Blend until the seeds and nuts are a course mealy consistency, stirring occasionally between blends. Transfer to a large mixing bowl. 3- Add the pumpkin seeds, psyllium husk, rolled oats and coconut flour to the mixing bowl and stir to make sure everything is well incorporated. 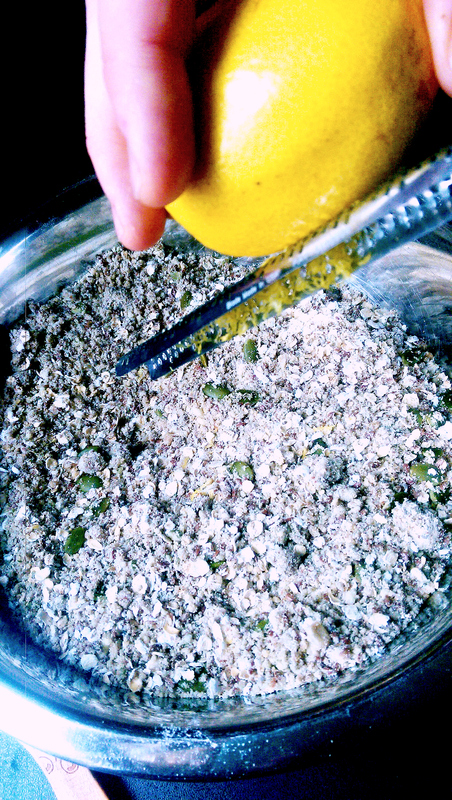 4 – Grate the zest of 1 lemon into the dry ingredients. 5 – Remove the tea bags from your liquid and mash any remaining chunks of banana (if you need to, it tends to dissolve). 6 – Mix the wet and dry ingredients together, ensuring that the tea mix is well incorporated through the dry mixture. It will begin to thicken up quickly as the psyllium and chia absorb the liquid. 7 – Finally add the blueberries and stir in or fold into the mixture. The frozen berries were helpful, because they tend to keep their shape when mixing. 8 – Lightly grease a standard loaf pan (I used coconut oil) and transfer the mixture to the pan. Press down firmly on the loaf with the back of a spatula or your finger tips to take any air pockets out. 9 – Set this baby aside, in a warm area for 2 hours (I know, 2 hours! but this gives you time to start your next book). 10 – After 2 hours preheat your oven to 375. Place the loaf on the middle rack and let bake for 1 hour or until the middle of the loaf is firm to touch and the edges begin to pull back from the pan. 11 – Remove from oven and let cool! 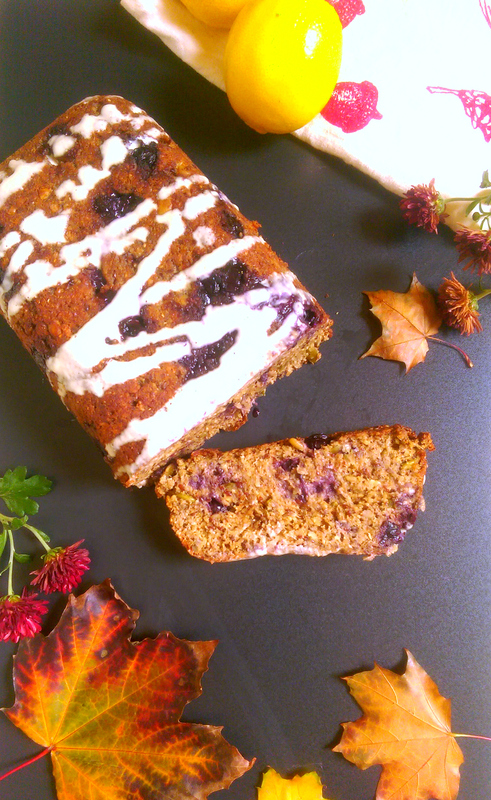 If you want – drizzle the loaf with the cashew cream below. Then enjoy with your favorite cup of tea. yumm. Let the tea steep with the cashews and lemon juice for at least 20 min. Remove the tea bag and let the nuts continue to soak for at least 2 hours and up to 12 hours. Add the nut mixture to a high powered blender and blend until creamy. 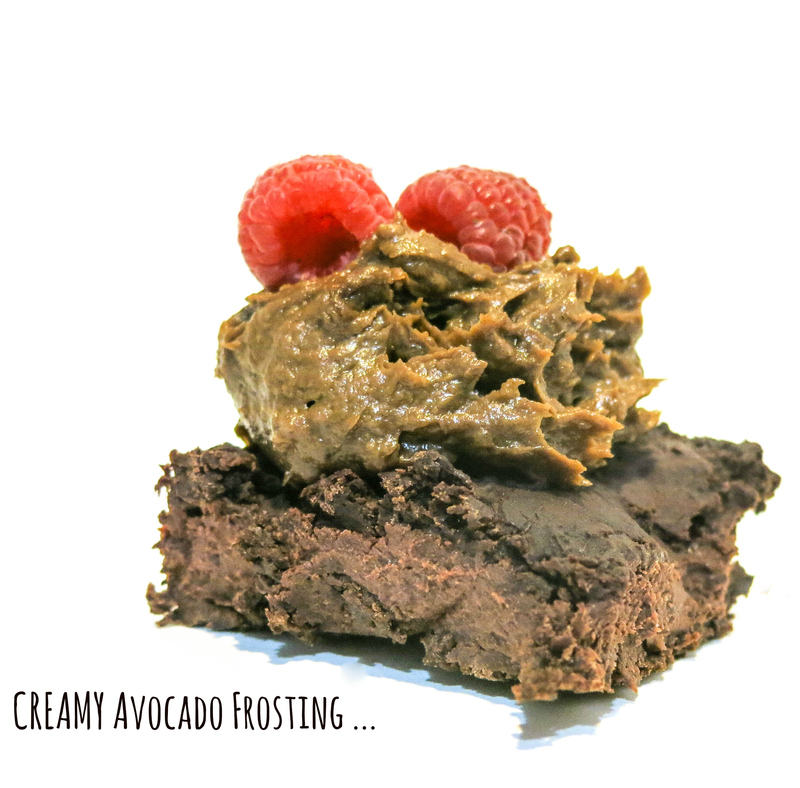 Drizzle freely (and I mean freely it’s delish!) over your tea loaf. you have more willpower than me if you stop at one piece! so satisfying. What’s your favorite fall treat? Hi! I’m Jenn. Thanks for visiting!